That may be the question you are asking yourself when you sit down and quietly realise that all of your social media communities are New Zealand based -- if not smaller. Now, we are not talking global companies - I mean, who didn't start following KFC after their clever FCK apology or IHOP after their IHOB identity issues? Instead, we are talking about people and organisations who are building a global social media following or using the digital space to interact well within their global community. Here are 6 personalities we can learn from as they agvocate, educate, or simply makes us laugh. Ag More Than Ever features a collection of Canadian agvocates and provides tips on how to get started on social media, communicate about your agri-based online. Commonly known as @MorrisonFarming. This Kiwi Beef & Lamb producer shares photos of his farming operations and stunning views and uses Twitter as a tool to regularly engages with farmers and other agvocates around the globe. NZ’s Trade Envoy travels away from his Hawkes Bay farm about five times a year to talk primary trade issues in overseas markets. A farmer telling our rural story on the global stage. We love his work on and off line and it was no surprise to us when he was named the 2018 Ravensdown Agriculture Communicator of the Year. Ryan Goodman can often be found running, writing, and working with America’s farmers and ranchers to help them share their stories when you ask questions about how beef cattle are raised. He firmly believes advocacy has become just another part of doing business on the ranch - on and off the computer. 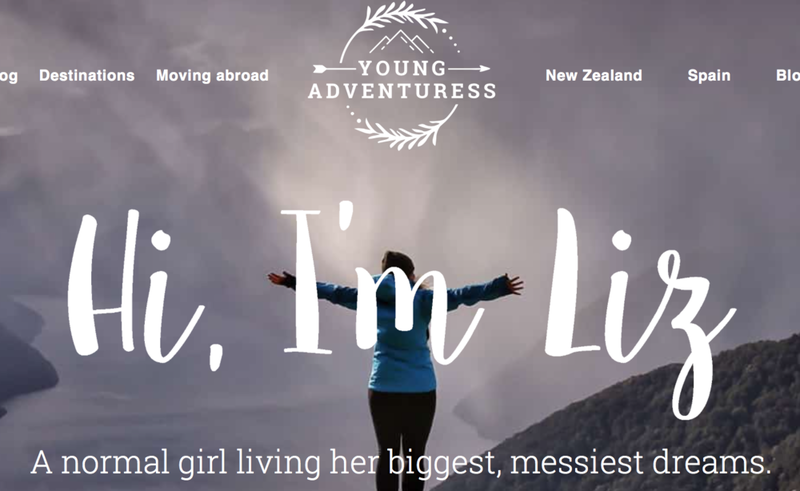 Liz is an American, living in New Zealand, travelling the world and blogging to tell about it. Her photos are beautiful, her stories are hilarious, and she has some serious opinions about social media and tips about building an online presence. She comes with a warning - be prepared to sit on her social media pages and be distracted for hours. Have fun! 365 Ag Women + their stories from around the globe. It's a beautiful thing. Okay, we know this is a cheeky plug for the GRM team's side passion project but we wouldn't put this here if we didn't believe in it. We are so excited to tell the the story of these within the primary industries from around the world. Follow us on Facebook or Instagram and prepare to be inspired! We recognise this is a small list in a big digital world. We want to know, who would you add? Older PostBoss Lady Speaks: Taking Over The World!